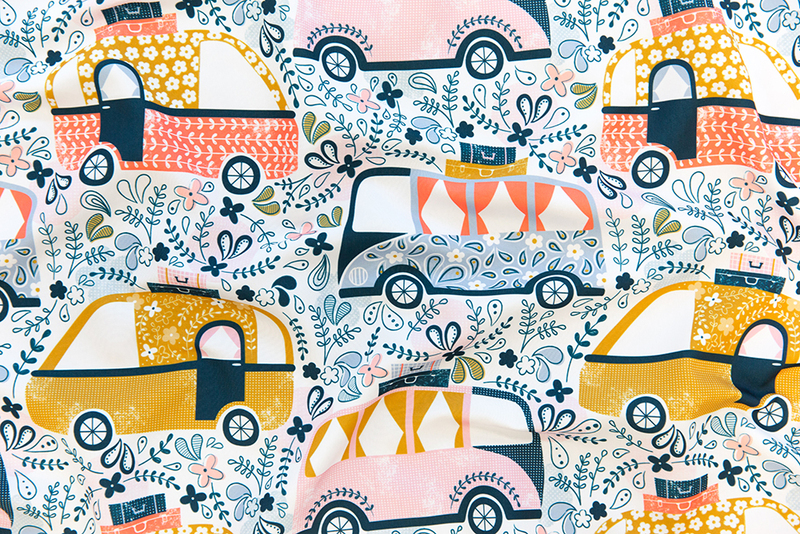 After this week’s Four Wheels Design Challenge, we’re ready to hit the open roads for a Spoonflower summer road trip and we can only hope our ride will be a replication of Sarah Knight’s Summer Holidays Campervans. 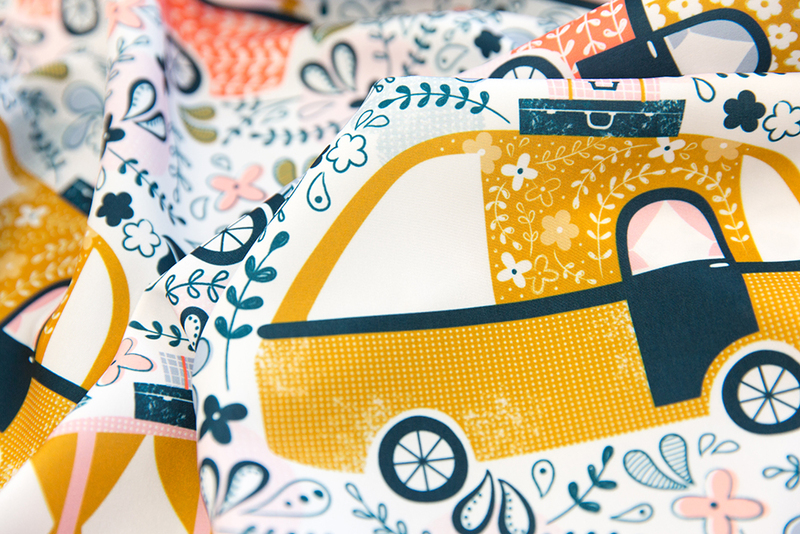 Sarah has parked herself in the winner’s circle and is taking home the grand prize, a $200 Spoonflower credit, for the first time EVER in her Spoonflower design challenge career! We also think you’re wheely going to love this week’s second place (studio_amelie) and third place (elena_naylor) winners who will be receiving $100 and $50 in Spoonflower credit, respectively. But don’t put the breaks on quite yet! Be sure to cruise on over to the entire top 10. Summer Holidays Campervans by sarah_knight is the Four Wheels Design Challenge winner!